Arena of Valor is produced by Tencent. A couple of months back it went through a triumphant beta test and will be coming to Nintendo Switch soon. This free to play MOBA has garnered a lot of fans through mobile gaming. 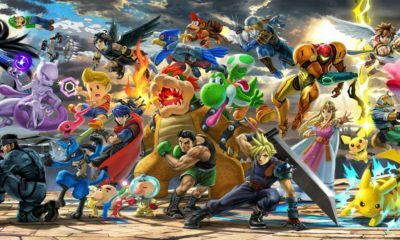 Now, they hope it will launch to the same applause on Nintendo next month, a date has not been given. Though, it might overlap with the Nintendo’s online service launch. Arena of Valor is a free to play mobile MOBA. It began as Honor of Kings in 2015. In 2017 it was the highest ranking mobile game in the world. Multiplayer online battle arenas pull towards them ten thousands of players and viewers. Viewers watch players play matches and watch teams fight each other in multimillion dollar matches. MOBA’s require momentous commitment to learn the technicalities and to learn the matchups between characters. Arena of Valor has a couple of similarities with the popular MOBA; League of Legends. Tencent Games has produced both games. However they also have a major difference in the pace of the battles and the barriers to entry. Arena of Valor has a pretty good tutorial at the beginning of the game. Its opening minutes are good enough to pique the interest of players. It takes about ten minutes to get the hang of the game and to start playing. Furthermore Arena of Valor not only simplifies the control scheme and the workings but it still manages to keep the suspense and the depth in the game. For those playing on the mobile the virtual joystick might seem a bit difficult to handle in other games. But this one has the tap to move system down to perfection. It feels absolutely natural and easy for either a regular player or a new comer. Additionally you can aim your skills by pressing and holding the button it is attached to. Arena of Valor has tons of content to unveil and discover. The game offers players six casual match combinations, custom matches, bot matches and ranked matches. In addition there is a training camp where you can test out your new hero before playing him out in the battle. Arena of Valor offers players 14 heroes in total every day. Moreover, it offers login rewards and Road to Glory, an in-game event, too grants players a new hero if they finish three matches in a day. Two heroes and more can be unlocked every day. Heroes include a combination of Marksmen, Mages, Warriors and Assassins. You can form the perfect team with your friends and take down your enemies. Included in the game are the 3v3, 1v1 and 5v5 modes and a special ‘Hook Wars’ mode. 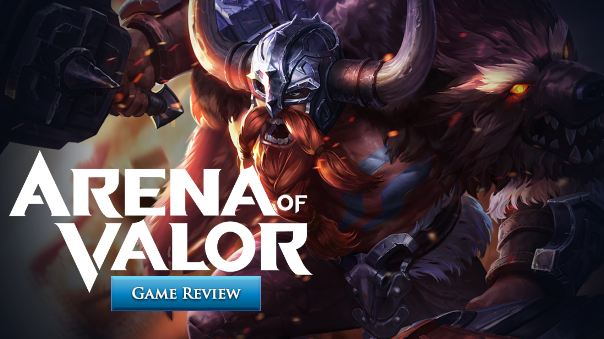 With the perfect landscape of towers, lanes, and forests, Arena of Valor will be offering the Nintendo audience much to look forward to. The game is not only cool to play and interesting but it is also quick paced.